Outside of the yurt: 7°C at night, and 15-17°C peak during the day - sunny days. 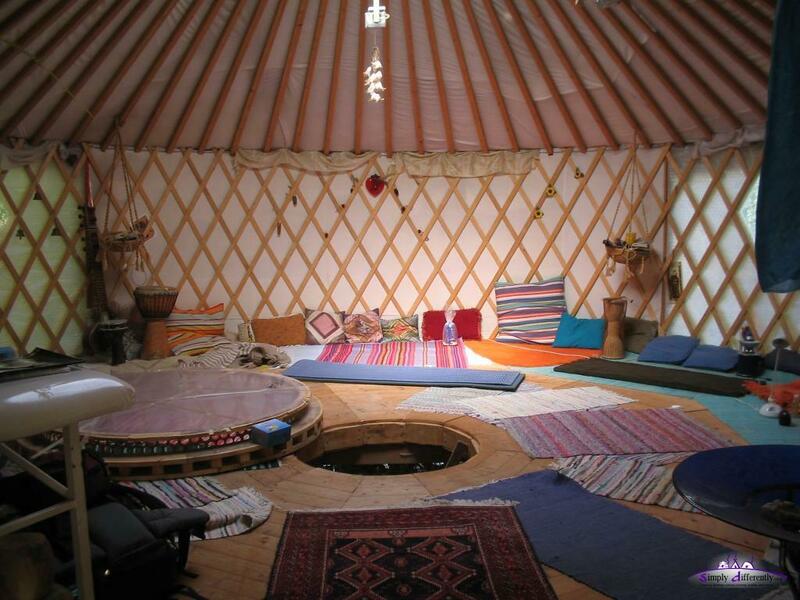 Inside of the yurt: late night apprx. 8-10°C, and from 9:00 to 11:30 it increases to 20°C, and 13:00 over 25°C - after 17:00 is decreases slowly to 12°C around 2:00 at night. I still use 4 layers bubble-wrap as thermal insulator. I plan to keep using the bubble-wrap as pseudo window, e.g. 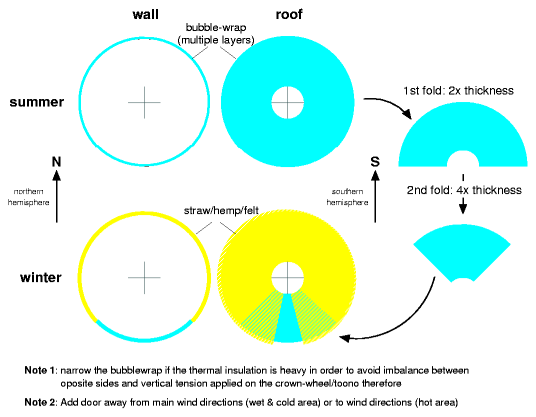 folding the 360° circle roof thermal insulator twice, giving 16 layers (apprx. 8cm thickness) and 90° and the rest with straw. 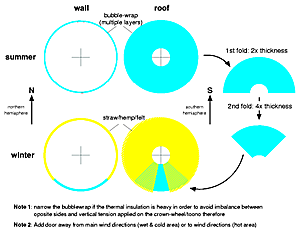 The same for the wall, folding it twice to have, and having 90° with bubble-wrap 16 layers oriented to south to have the sun reach the inside (for southern hemisphere it would be north) - and the rest thermal insulate with straw as planned. I really like to avoid having a dark inside of the yurt like the traditional yurt and only light from the skylight. Detailed plans and how-to I will add once I did it and include it here and in the Yurt Notes too. Finally a new place has been found, generously offered by a farmer nearby, south oriented, flat with gravel ground, spring water, electricity nearby from the farmer, and hopefully net connection again. A new friend joins me, she made her own yurt more the traditional way in regards of materials, and will assist her to finish it like the skylight cover and door. I will document the moving here. For those of you who read through the diary already know my floor setup wasn't that good, and time I raise it 10-12cm from the ground using palettes, and on top some insulator (reusing my styrofoam if possible) and then a new set of press board or three level wood boards. As I get a new floor moving but reuse some of the floor insulator is a bit complicate to move in several moves, e.g. the floor insulator becomes available after I put interior, the yurt itself and top layer of the floor away - and this only possible on a day without rain otherwise it would require to shelter it (e.g. 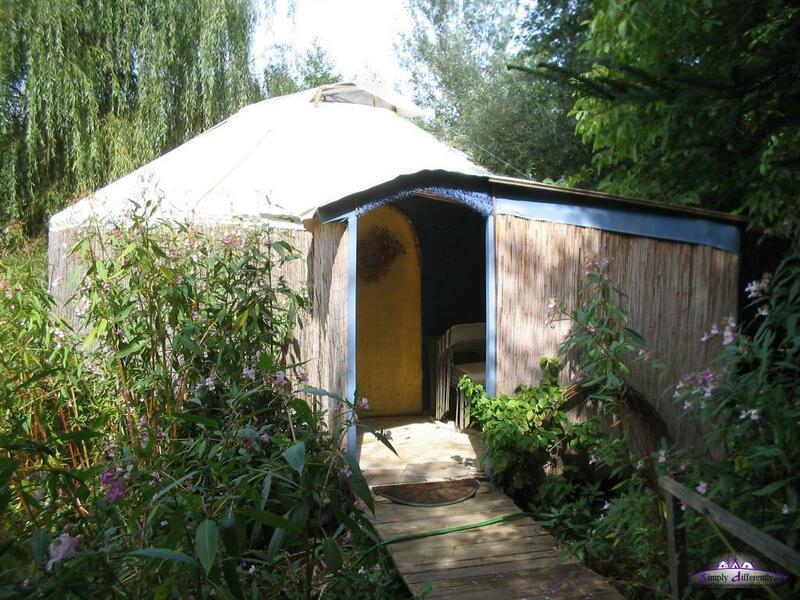 another yurt, a bit a catch 22 if you know what I mean). Since I have access to a small truck which cannot hold all of my yurt (interior, the yurt itself and the floor) I have the juggle or shuffle a bit around - will be fun! 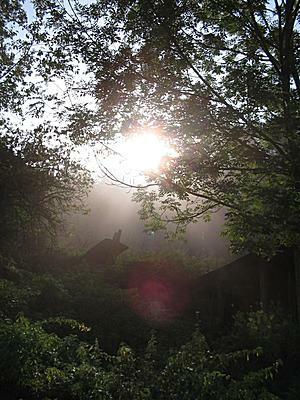 Wonderful morning with little fog and the bright sun shining through - wonderful moment. While looking for a new place to settle down, and doing other projects little time was left to do the diary here. 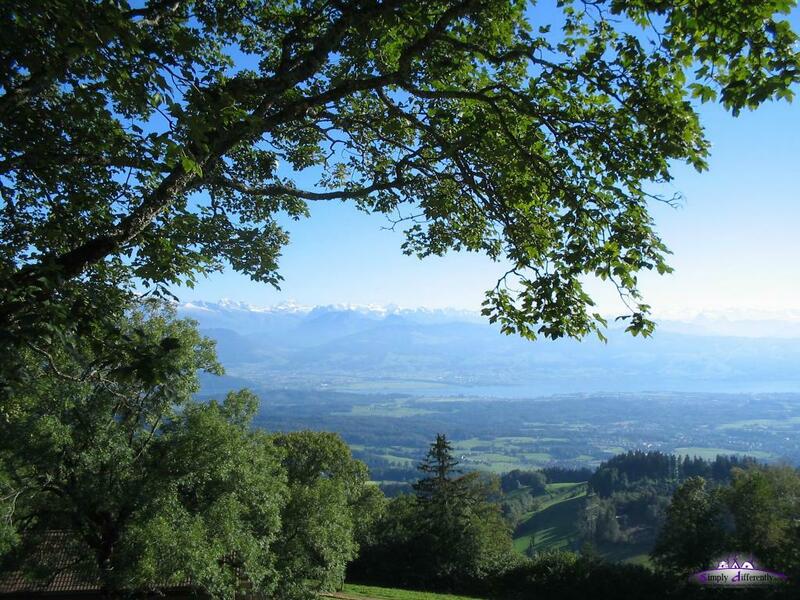 Researching cotton canvas from german whole-sale manufacturer (20% of price of the cheapest place here in Switzerland), and rain cover also from a direct importer in Germany (PE blankets seem manufactured in China), apprx. 40% of the price as I've got before - so doing price research makes sense for larger volumes. 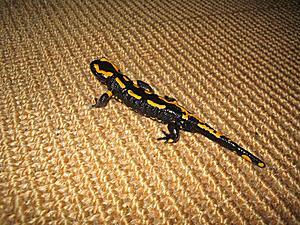 One night I saw a small animal walking over my carpet, and I was surprised it was a fire salamander. Their skin is mildly toxic, but isn't really a scary animal but rather cute I think, colorful, slow, curious - it actualled returned three times into the yurt to the very center of my carpet. Why I write about this? 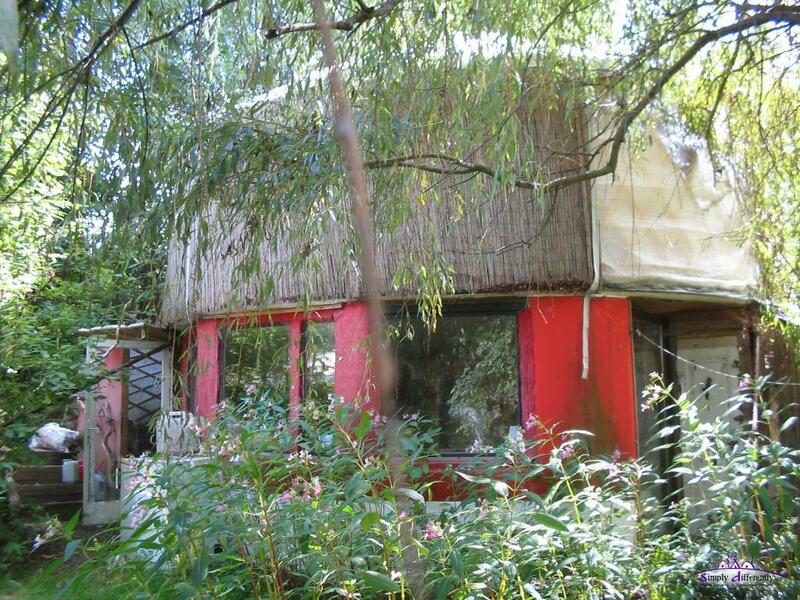 Well, expect some guests while living in a yurt so close to nature. During August I had visits from all kind of insects: bees, wasps, hornets, dragonflys - they liked the warmer inside of the yurt and the air whirls through the opened skylight; the big dragonflys where most interesting to watch as they seemed to be really curious before they left through the door again where they came in, other insects usually left through the opened skylight and its hot air draft. 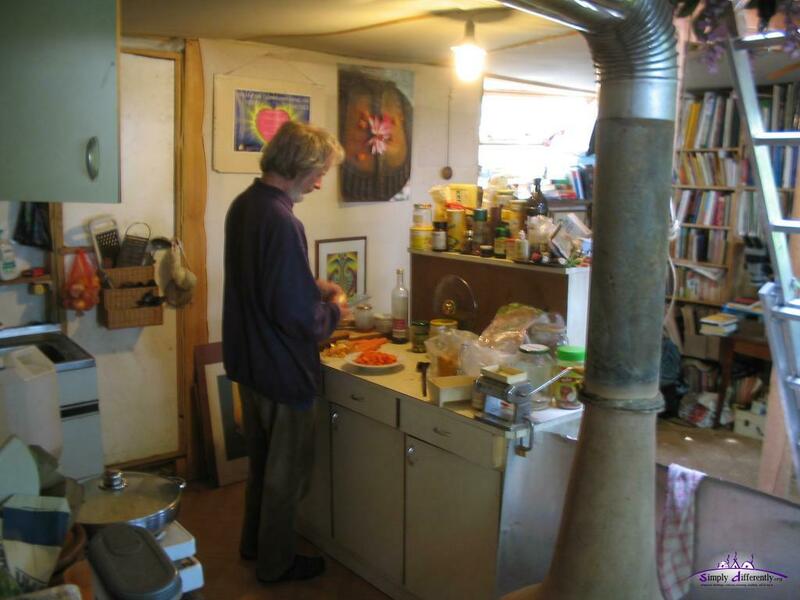 I had no problems with mice as I didn't have a food and kitchen in my yurt (used the one in the house nearby) and so no smell of food and thereby no attraction for mice, which otherwise could become an issue. 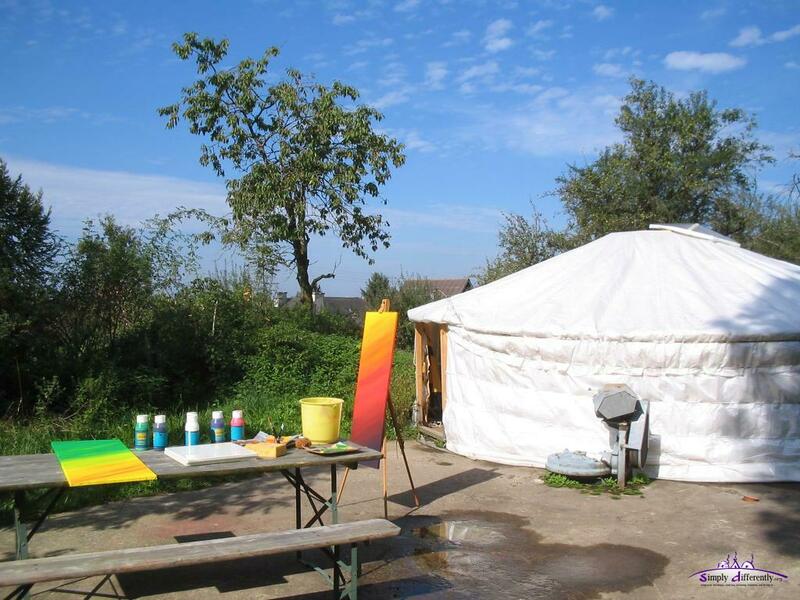 One day, one of the bright and dry ones, I did some painting, to have a few colorful paintings for the inside of the yurt - what a joy having a bright sun and a mild breeze drying the paintings so fast and painting really a matter of real flow . . . I will make photos of the paintings later and will then be available on my art web-site which I still design (since quite some time actually). Tonight the first fall storm has reached the location I am; apprx. 5 secs in advance I hear the storm wave coming through the nearby forest and single trees before it hits the yurt - I didn't pay that kind of attention before to such gusts, only apprx. 80-90km/h, but feels much stronger when it comes almost from stillness to such a gust of wind. A brief video clip, a few roof poles shake a bit, the roof cover lifts 5cm or so, since I have no cords or ropes over the roof this is to be expected. For regions with lot of wind ropes reaching over the entire roof is recommended to increase overall stability of the yurt, making it compact. Sidenote: I upgraded my content-management system with a new support for streaming videos using an embedded flash player, expect more short video-clips now that I found an easy way to embed them and avoid using web-services like YouTube.com and the kind. A few weeks ago a yurt enthuastic woman approached me to join me in this winter season to live in a yurt, so we are looking together for a place nearby - she hasn't finished her somewhat traditional yurt (polyester/cotton mix solely for rain cover and pressed hemp as thermal insulator) yet, only a few things left to do. 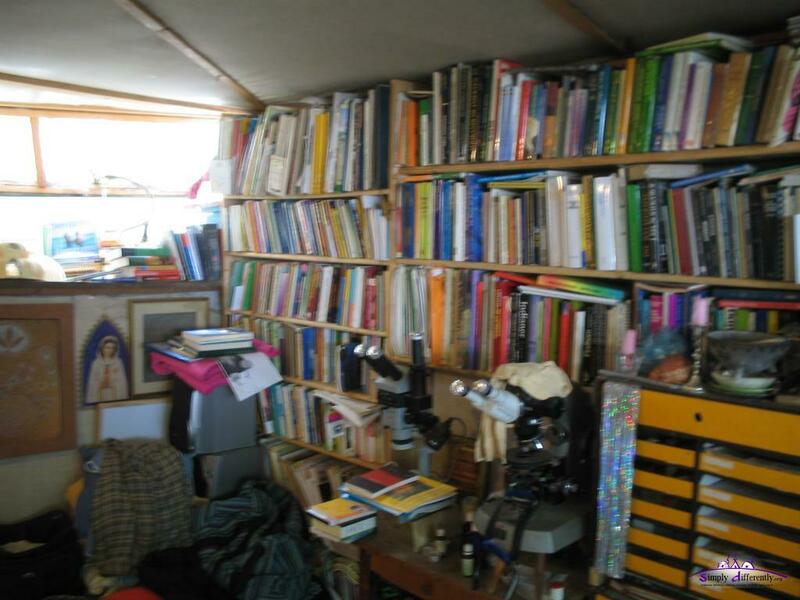 Once we settled down I will include a few photos of her yurt and doing my straw insulated yurt as I planned. 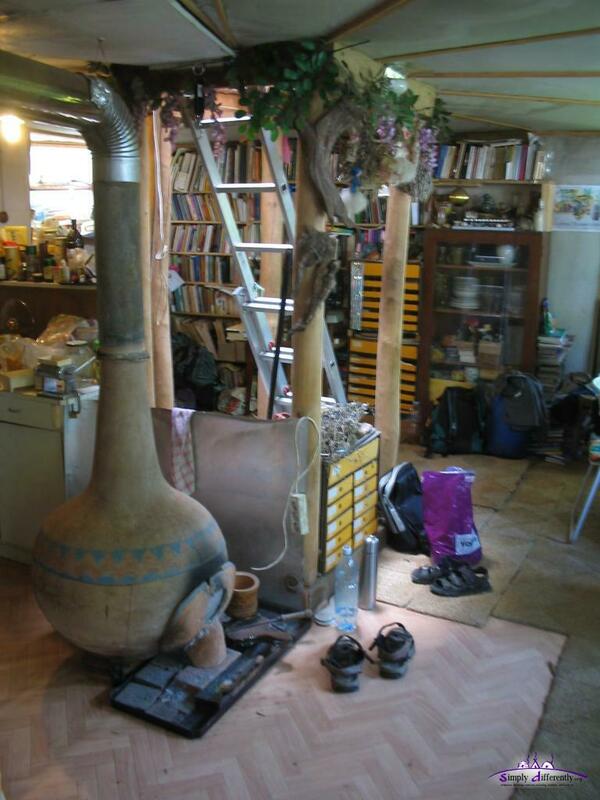 The ground level of his yurt building is rather solid, with solid walls, one extra room at the entry with a shower. 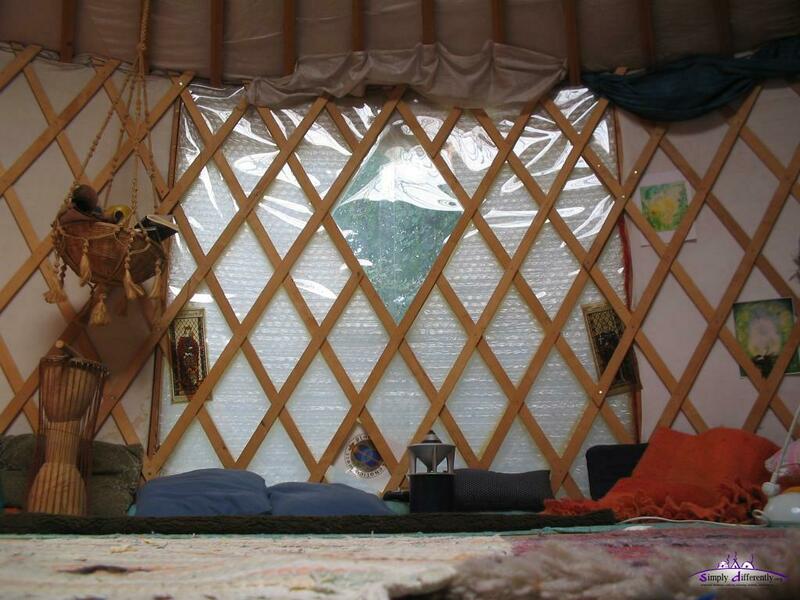 The upper level is the "real" yurt construction, with lattice wall and roof poles, and bubblewrap based skylight. 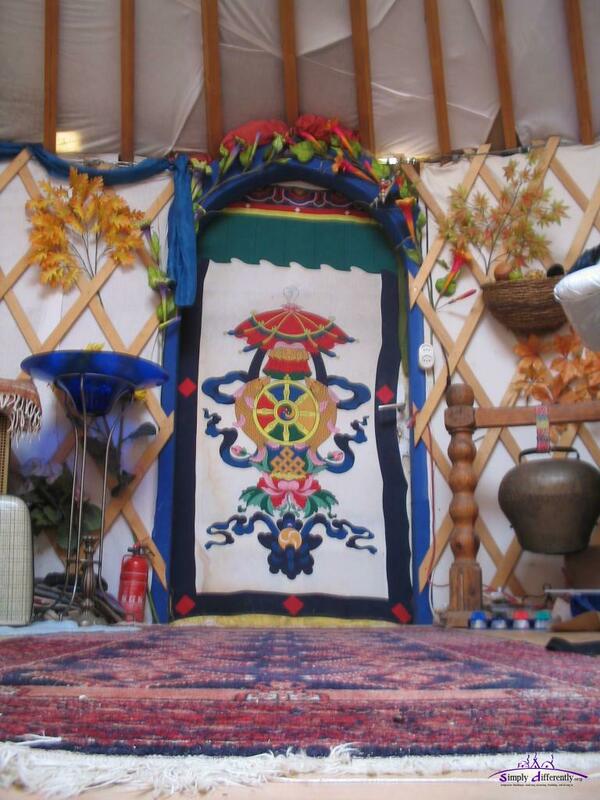 More pictures of his yurt you find at Claudius Kern. 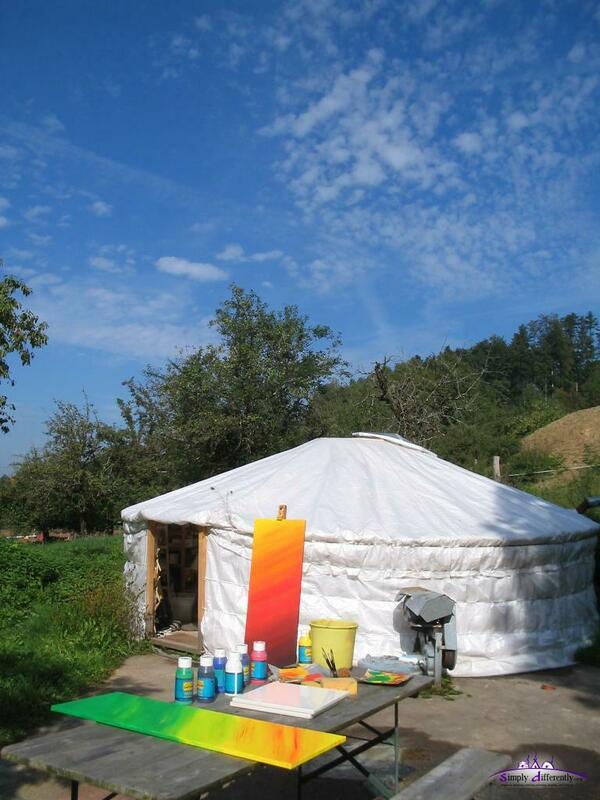 We discussed intensively about the "european yurt", the one which also is useable in humid climate, where 100% water resistant rain cover is used and humidity within insulation is withdrawn by various ways. 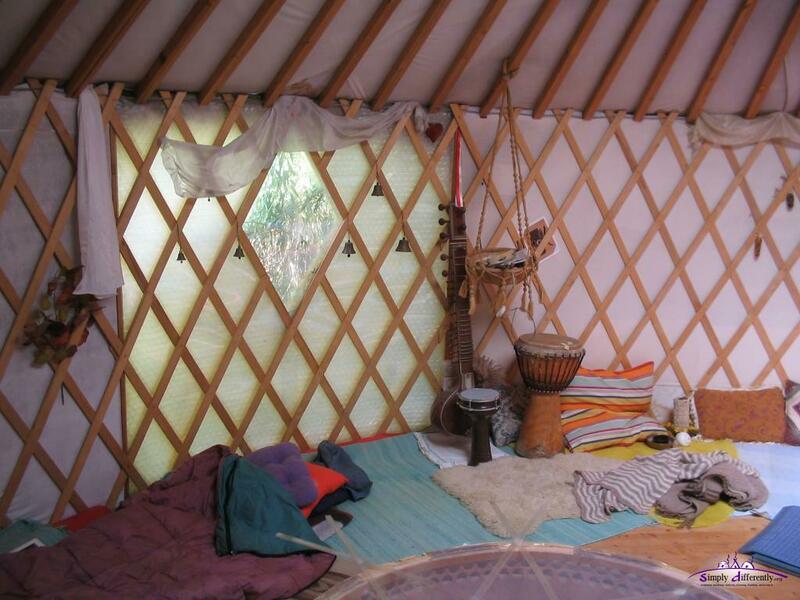 He also contributed a few approaches to bind the lattice wall, best look in the yurt notes and the wall section then for the photos. Needless to say we continue to work together in various ways and share our experiences, either privately but also publically, me with this web-site, and him through his seminars. 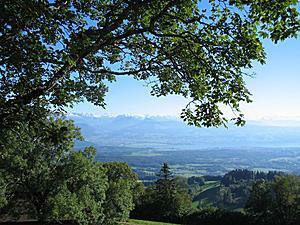 For additional 3 weeks it was raining, and the last 2-3 days intensively. The yurt was 100% waterproof with PE blanket I used. The temperature dropped to 12°C at night, and this morning with clear sky it's 10°C. Yesterday and today clear sky. After weeks of heat (around 30-35°C) the weather has changed, since 5-6 days it's raining, 5-10 hours a day, and 14-18°C, 20°C drop in temperature. When the rain stops, and clouds get more translucent the yurt warms up immediatly well over 25°C again; but with rain and covered sky it's 3-5°C warmer inside than outside, due my own thermal energy. Also due the long rain I have to keep opening the door for fresh air - and I'm thinking of having a simple air openings I can easily open and close as I require, let's see if something simple can be done, or simply change a bit the setup of the skylight cover.